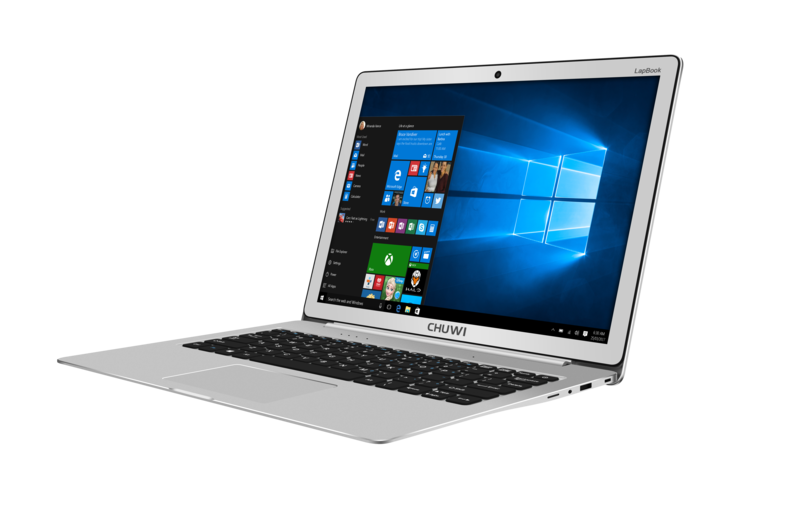 Chuwi is a relatively unknown company in the PC space, but only about a month ago we took a look at the Chuwi LapBook 14.1, and came away very impressed. They are shaking up the low-cost segment of the PC market with some low cost, but well featured devices. The LapBook 14.1, for instance, ships with a 1920x1080 IPS display, 4 GB of RAM, and 64 GB of storage, all for less than $300 USD. Normally when you see notebooks around these price points, they come with several serious compromises which really detract from the experience, but the LapBook 14.1 made some great trade-offs to offer a good machine for a low price. Today Chuwi reached out with some news that they are going to be releasing the LapBook 12.3 at the end of April. It features the same CPU as the LapBook 14.1, with an Intel Celeron N3450, which is a quad-core Apollo Lake. Performance is not as good as a Core based laptop, but the experience is reasonable for less demanding tasks. Chuwi is pairing this with 6 GB of RAM, and 64 GB of eMMC flash storage, so the experience should be similar to the LapBook 14.1, but with more RAM so you can multitask a bit more. They are also keeping the 802.11ac Wi-Fi, which is probably the same 1x1 card found in the larger LapBook. Probably the most interesting part of the LapBook 12.3 is that it is shipping with a 2736x1824 3:2 display at 12.3-inches. That gives a density of 267 pixels per inch, and eagle-eyed readers might have noticed that this is the same resolution and size as the display in the Surface Pro 4, so it is likely the same panel that Microsoft is using in their tablet. Chuwi didn’t confirm if it was an IPS display, but it most likely is. It's similar to their Hi 13 2-in-1 which uses a 3000x2000 13.5-inch display, so they are clearly using Microsoft's influence to source components which is great to see. The new LapBook 12.3 measures in at 300 x 223 x 16.7 mm (11.8 x 8.78 x 0.66 inches), and weighs in at 1.45 kg (3.18 lbs), so despite the small and thin design, it’s not as light as a more expensive Ultrabook would be at this size. Chuwi hasn’t announced pricing yet, but considering the rest of their lineup, it should be very competitive. Look for the LapBook 12.3 when it launches at the end of April. It is on the other end of the spectrum. I have a Lenovo with a big Core i5 but this costs almost like an Atom laptop due to the poor screen and cheap plastic throughout. Not even ThinkPads are safe from the screen plague. Mi 1st gen Carbon X1 has a low res screen that also acts as its own privacy filter (probably the crappiest TN I've used this side of the new millenium). For my 2nd generation Carbon X1 I went for the best screen they had, no more compromises... or so I thought. It has the resolution, not the quality. Not to mention that it has horrible burn-in issues. I can literally read text from documents that stayed open and untouched for more than a minute even 20-30s after I minimize the document window.